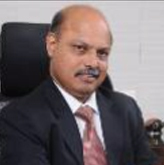 Prof. Prem Vrat is Pro-Chancellor, Professor of Eminence & Chief Mentor at ITM University, Gurgaon. He is B.Tech (Hons.) and M.Tech from IIT Kharagpur and Ph.D. from IIT Delhi. He has been Director IIT Roorkee; Vice Chancellor, UPTU, Lucknow; Professor; Dean, Dy. Director and Director-in-charge, IIT Delhi; Professor of Eminence, MDI, Gurgaon and Professor & Division Chairman, AIT Bangkok, Vice-Chancellor, ITM University, Gurgaon. He is also an Honorary Professor at IIT Delhi and Distinguished Adjunct Professor at AIT Bangkok. He has visited 22 countries. Prof. Vrat has guided 38 Ph.D., 118 M.Tech. 65 B.Tech. projects and published more than 440 papers in journals and proceedings of conferences with more than 4300 citations and g-index of 64 and maximum citation of a paper as 629. He has published seven books and completed 5 sponsored projects and 33 consultancy assignments. He is Fellow of INAE, NASI, WAPS, IIIE and ISTE. He was conferred Doctor of Engineering (Honoris Causa) by Bundelkhand University; Distinguished Alumnus Award by IIT Kharagpur; Distinguished Service Award by IIT Delhi; Uttaranchal Ratan Award, Lillian Gilbreth Award; 13 best papers medals and prizes. National Systems Gold Medal by SSI and Honorary Member (IIIE)-the highest recognition. He was bestowed "The Guru" Award by SAE India Foundation and conferred the "Life Time Achievement Award" at the 18th International conference of society of operations management at IIT Roorkee. He has been on editorial boards of many national and international journals and on the board of governors of many institutions/universities. He is an Independent Director on the Board of Air India. Member (MEAC) NBA, Technology Forum of INAE and Advisory Group of Experts for Technology Upgradation –in Indian Railways. Nikhil Sinha, is the founding Vice Chancellor of the Shiv Nadar University. He is a leading international expert on information and communication technology and has extensive experience as an academician, corporate executive and consultant. 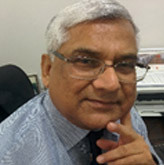 In his academic career, Dr. Sinha has served as Associate Dean for Academic Affairs at the University of Texas from 2002 to 2005 and a faculty member at the University from 1991 to 1999. Dr. Sinha is Non-executive Chairman of Board of HCL Infosystems, a Director Emeritus of the US-India Business Council and a member of the Advisory Board of the Annenberg School for Communication at the University of Pennsylvania. Dr. Sinha has an M.A. and Ph.D. from the Annenberg School for Communication at the University of Pennsylvania and a B.A. (Hons.) from St. Stephen's College, Delhi University. Born on 2nd April 1948, Professor Phatak obtained his Bachelor's degree in Electrical Engineering from SGSITS Indore in 1969, and his M Tech and Ph D from IIT Bombay. He has been serving with IIT Bombay since 1971. He headed the CSE department from 1991 to 1994, He was the first Dean of Resources of the Institute from 1995 to 1998. 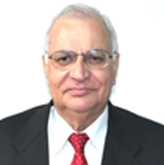 He was the founding head of the Kanwal Rekhi School of IT from 1998 to 2002. 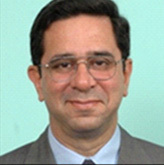 He briefly served as head of SJ Mehta School of management, from 2004 to 2005. He is currently Subrao M Nilekani Chair Professor, in the department of Computer Science and Engineering. His research interests are Data Bases and Information Systems, Software Engineering, System Performance Evaluation, IT enabled Education, and IT strategy planning. His primary research inclinations are in Technology application and deployment. He has guided 7 PhD and over 170 MTech students, and has authored over 50 publications. In the Kanwal Rekhi School of IT at IIT Bombay, which he set up in 1998 (now merged with the Department of CSE), he created a focus on applied research. He started an IT incubator to foster innovation through start-up companies. It has now flourished as IIT Bombay's Society for Innovation and Entrepreneurship (SINE), and is considered the best incubator in India. He also started the country's first interactive distance learning program using VSATs. This initiative has now blossomed into the Centre for Distance Engineering Education (CDEEP). Using the experience gained in that initiative, he recently completed a national mission project to train 1,000 teachers at one time, in several core engineering subjects using ICT, through a series of ISTE workshops. By June 2012, his efforts had succeeded in training over 20,000 teachers from across 1,200 engineering colleges in the country. Encouraged by the excellent feedback from participating teachers, the National Mission has entrusted him with the responsibility of training 1,50,000 teachers in the next 3 years, through mega-workshops training 10,000 teachers at a time. 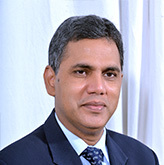 M. S. Unnikrishnan is the Managing Director & CEO of Thermax Group, the energy and environment solutions major. The company has a global presence and operates in the areas of heating, cooling, power, water and waste management, air pollution control and chemicals. Mr. Unnikrishnan began his career with Thermax after graduating from the NIIT, Nagpur in 1982 in Mechanical engineering. He has also completed his Advanced Management Programme from the Harvard Business School, USA. Joining Thermax as a graduate trainee, he went on to establish the marketing set up for the Energy division of Thermax in the Western Region. From 1987 and 1997, Mr. Unnikrishnan worked with EID Parry as the Head of Engineering Division and with Terrazzo Inc, U.A.E. as AGM heading the manufacturing, marketing and commercial operations. After rejoining Thermax as General Manager in 1997, he became a member of the Executive Council in 2000. He also led the company's project business as Group Business Head before being elevated as the Managing Director & CEO in 2007. Mr. Unnikrishnan is a passionate advocate of a sustaining ecosystem of innovation and technology for national resurgence. 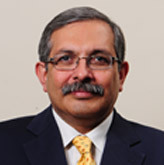 He co-chairs the National Committee for Capital goods of FICCI. He is Member of the Development Council constituted by the Ministry of Heavy Industries, Government of India, to create strategies for the industrial development of the country. He is also a member on the Energy Advisory Committee of Kerala Government's Planning Board. Mr. Unnikrishnan is actively involved in initiatives for the improvement of technical education in India. 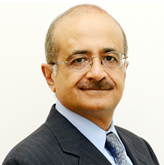 He is a member of the AICT Jury Committee for annual ranking of technical and management institutes of the country. He is also a Member of the Apex Council to implement the 'Prime Minister's Fellowship Scheme for Doctoral Research', a joint initiative from the government and industry to encourage industrial research and nurture talent. Mr. Unnikrishnan has been honoured with the 'Asia Innovator Award' at the 11th CNBC Asia Business Leaders Awards, held in Banghok in November 2012. He was awarded "for his inventive thinking in business and his leadership in an organization that has innovation at its core". Earlier in 2010, he was also awarded the 'Distinguished Alumni' of NIIT, Nagpur. Mr. Unnikrishnan is known for his strategic and human relations skills and is a champion of green technologies. Ninad Karpe is MD & CEO of Aptech Ltd., a global education company, which has trained more than 7 million students over the last 28 years and now operates 1300 plus centres in India and China, as well as 40 emerging countries. Since joining the company in February 2009, Karpe has been aggressively pursuing a strategy to position Aptech Ltd on the world stage as a truly global provider of learning solutions. He previously served CA Technologies, the world's fourth largest software vendor, as MD covering India & SAARC countries. In this post, Karpe was responsible for extending the company's technology reach and building strategic partnerships. Earlier in his career, Karpe worked as a consultant, advising companies seeking to invest in India. During this stint, he authored books on taxation and foreign investment in India. He frequently writes for magazines and contributes to management schools by presentations on business strategy. Karpe is a regular blogger (www.reformingeducation.in) and serves as an independent director on the boards of a number of public companies. He is well travelled and has a rare, but interesting hobby of home wine-making. Mr. Venkatesh Valluri is the founder and Chairman of "Valluri Technology Accelerators" and "Valluri Change Foundation". Valluri Technology Accelerators focuses on building solutions in the areas of Energy, Water, Environment & Pollution, Sanitation & Waste and Healthcare through convergence of multiple high end domain technologies by partnering with leading global and National organizations. Valluri Change Foundation primarily focuses on providing group mentoring to Corporates and Educational Institutes. It is also associated in key social work activities. 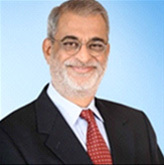 Mr. Valluri has been associated with various global Industries for over 30 years and has Leadership, Operational and General Management experiences spanning the regions of India, Europe and the US. 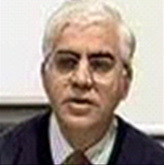 Mr. Valluri also serves as the Chairman of the board for Ingersoll Rand India's public company operations. Ingersoll Rand is a $14.0 billion globally diversified Fortune 500 Industrial technology Company. It has a major presence in India that includes multiple Manufacturing sites and Innovation and Engineering centers. Before joining Ingersoll Rand, Mr. Valluri was associated with the global measurement technology leader, Agilent Technologies, as its President & Country Manager and served as the Chairman of the board for its Indian subsidiary. 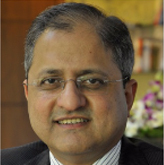 Prior to Agilent he held various leadership roles at GE (General Electric) in India and overseas. 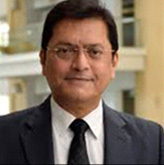 He served as the Managing Director of GE's Silicones business in India and later as the Business Leader for GE's Specialty Materials business in Europe. He worked as the Vice President of GE's Corporate Business Development group and established multiple businesses and initiatives for GE's operations in India. Mr. Valluri served on the board of the India chapter of the global NGO United Way as its Vice Chairman. He serves as the Executive-Committee member of TERI (The Energy and Resources Institute) and provides leadership on many sustainable and climate change initiatives. He has been a member of the National Executive board of AMCHAM (The American Chamber of Commerce) and chaired the U.S. India Energy Cooperation Program (ECP). He is also the Chairman of the National Committee on Technology of the Confederation of Indian Industry (CII) and serves on the Prime Minister's Fellowship scheme board for Doctoral Research grants. He was a member of the Ministry- Industry Consultative Committee (MICC) for developing the food security standards for cold chain in the country. He also serves as the Member of the Karnataka Knowledge commission instituted by the Government of Karnataka. Recently he was elected as a member of the board of BMS Institute of Technology, Bangalore. Mr. Valluri holds a Bachelor's in Technology in Electronics and a MBA from IIM Ahmedabad. Dr Michael Spence is the University of Sydney's 25th Vice-Chancellor. He has led the University with distinction since 2008. VAn alumnus of the University of Sydney, Dr Spence graduated with first-class honours in English, Italian and law. His many languages also include Chinese and Korean. Dr Spence lectured in law at the University and worked for the Australian Copyright Council prior to departing from Australia and establishing himself at the University of Oxford in order to undertake doctoral studies. At Oxford, Dr Spence was awarded his DPhil and continued to develop his career over the next 20 years. He became a Fellow of St Catherine's College and a Lecturer of the University of Oxford in 1992. He also obtained a Postgraduate Diploma in Theology. 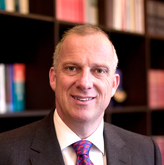 After a period as head of the Law faculty, he was appointed as head of the Social Sciences Division; one of the four divisions that make up the University of Oxford. Dr Spence is recognised internationally as a leader in the field of intellectual property theory. His work includes articles and books on both intellectual property law and the law of obligations, with a critical focus on suggested ethical and economic justifications of the existing regimes. Under his leadership, the University of Sydney has significantly strengthened its ties with India, including doubling the number of agreements with institutes there. DrAvinash S Pant joined the All India Council for Technical Education as Vice Chairman on inJanuary 2013. He graduated from Regional Engineering College, Warangal (Andhra Pradesh), with a Bachelors Degree in Civil Engineering in 1980. Later he obtained his Masters Degree in Structural Engineering and Ph D from the same institute. 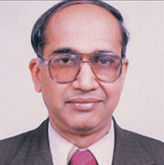 Dr Pant started his teaching career at REC Warangal as a Teaching Assistant in 1982 and then became Lecturer in the Civil Engineering department. He also worked as Lecturer / Assistant Professor at Shri Guru GobindSinghji Institute of Engineering & Technology, Nanded, Maharashtra, which is a Government-aided premier autonomous institute of the government of Maharashtra. He also worked as Professor and Head of Applied Mechanics department at Government College of Engineering, Pune (CoEP) from 1998 to 2005. He was thereafter promoted as Principal and posted at Government College of Engineering Karad till he took up his present assignment at All India Council for Technical Education headquarters. He has held several important academic and administrative portfolios in his service span of 30 years. Some of these include Chairman, Board of Studies in Civil Engineering, University of Pune, and Swami RamanandTeerthMarathwada University, Nanded, Founder Dean (Academic Affairs) at College of Engineering, Pune after the grant of autonomy to the institute, and Nominated Member on the Board of Maharashtra State Board of Technical Education, Mumbai. Dr Pant was also instrumental in securing major funding for development of Non Destructive Testing facility, Vibration testing facilities and an Advanced Structural Engineering laboratory facility at College of Engineering Pune (CoEP). He specialises in ‘Torsion of Reinforced and Pre- stressed Concrete Structures’. Professor Devang Khakhar is currently Director of IIT Bombay and Professor of Chemical Engineering. Professor Khakhar did his B.Tech. from IIT Delhi in 1981 and his Ph.D. from the University of Massachusetts, Amherst in 1986. He joined the Department of Chemical Engineering at IT Bombay in January 1987, and has been with the Institute since then. 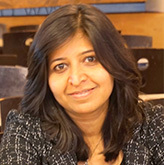 Prof. Khakhar's research interests include mechanics of granular materials and polymer processing. He has published over 100 papers in these areas. For his research achievements, Prof. Khakhar has been accorded several prestigious awards, which include the Shanti Swarup Bhatnagar Prize (1997) and the Swarnajayanti Fellowship (1998). Prof. Khakhar is also a recipient of IIT Bombay's "Excellence in Teaching Award" and the "Mathur Award for Research Excellence". He is a Fellow of the Indian National Academy of Engineering, the Indian National Science Academy, the Indian Academy of Sciences and the National Academy of Sciences, India. Prof. Khakhar served on the Science Advisory Council to the Prime Minister of India (SAC-PM). He serves on the Scientific Advisory Committee of the Cabinet (SAC-C), Central Advisory Board of Education (CABE) and Atomic Energy Regulatory Board (AERB). He is the Executive Editor of the journal “Advanced Powder Technology”. 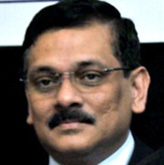 He is an independent Director on the Boards of Indian Oil Corporation and Antrix Corporation. Prof. Khakhar has served as Professor-in-Charge of IIT Bombay's Continuing Education Program from 2001-02, as Head of the Department of Chemical Engineering from 2002-04, and the Dean of Faculty Affairs from 2005-08. 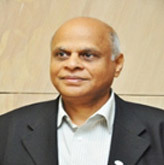 He has been the Director of IIT Bombay since January 2009. Dr. Naushad Forbes is the Co-Chairman of Forbes Marshall, India's leading steam engineering and control instrumentation firm. He chairs the steam engineering companies within the Group. Dr. Forbes was a Lecturer and Consulting Professor at Stanford University from 1987 to 2004 where he developed courses on Technology in newly industrializing countries. He received his Bachelors, Masters and Ph.D degrees from Stanford University. 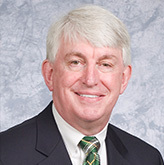 Dr. Forbes is on the Board of several educational institutions and public companies. He is an active member of CII and has chaired the National Committees on Higher Education, Innovation, Technology and International Business. 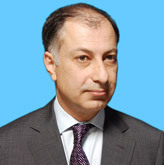 Dr. Naushad Forbes is currently the President of CII. 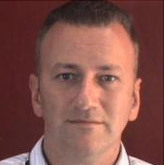 Dr Ryan’s career in Higher Education started at Staffordshire University as Deputy Director of Recreational Services, Director of the Regional Sports Performance Centre and Institute for Health Research. He was then appointed Postgraduate Lead and External Partnerships Director. This involved the co-ordination of postgraduate provision within the Sport and Exercise programme area and the strategic management of external projects and partnerships. Dr Ryanstarted at Newman University as Head of the department for Physical Education and Sport Studies. This involved the overall leadership of the subject area specifically in maintaining the highest quality standards in service and delivery to Newman's students. Dr Ryan has recently been promoted to the post of Associate Dean in the School of Human Sciences. As Associate Dean of the School of Human Sciences Paul has corporate responsibility that includes membership of a number of strategic internal and external boards such as the Senate, Learning and Teaching Committee, Academic Development Committee and West Midlands Employers Forum. He has management responsibility for the ten departments that make up the School of Human Sciences, Work based learning and Employer engagement. Dr Ryan is a member of various professional organisations including Leadership Foundation for Higher Education, Member Institute of Management and Professional Membership of BASES. 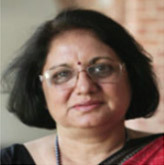 Dr. Pratibha Jolly is Principal of Miranda House, the college for women at University of Delhi. Dr. Jolly is recipient of the prestigious Fulbright New Century Scholar award 2009-2010 that enabled her to work with a multidisciplinary team of international scholars on the theme The University as Innovation Driver and Knowledge Centre. 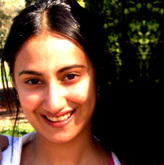 She is also a recipient of American Physical Society Kilambi Ramavatarm, fellow Tata-Fulbright Fellowship and Commonwealth Academic Staff Fellowship. 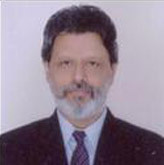 Dr. Jolly served as Chair of the International Commission on Physics Education, Commission 14 of the International Union for Pure and Applied Physics (IUPAP) for six years from October 2005 to 2011. She has to her credit pioneering physics education research programmes that have led to establishment of the D S Kothari Centre for Research and Innovation in Science Education at Miranda House. Dr. Sanak Mishra isinternationally acclaimed as a brilliant scientist and technologist. He is credited with the discovery of magnetic clusters in dilute alloy systems of iron, nickel and copper, and the discovery of the texture memory effect in grain-oriented electrical steels. 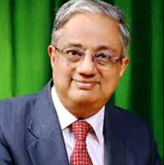 Dr. Mishrawas thefirstSecretary General and full-time Executive Head of the Indian Steel Association (ISA), formed in August 2014 by the eight largest steel companies of India, both public and private. Before heading ISA, he had held the position of Vice President of ArcelorMittal and was Chief Executive Officer (CEO) of its Projects in India. He built from scratch its Indian subsidiary, ArcelorMittal India Limited (AMIL) and also established in Kolkata the ArcelorMittal Design & Engineering Centre (AMDEC) as a global group facility for the company. Dr. Mishra stood first in the State of Odisha at the Matriculation examination. 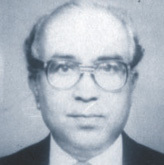 He obtained BSc Honours degree in Physics from the Ravenshaw College in Cuttack, and BE degree in Metallurgy from the Indian Institute of Science in Bangalore.He then received MS and PhD degrees in Metallurgical Engineering at the University of Illinois at Urbana-ChampaigninUnited States.He was directly recruited from there in 1973to join as a founder member of its Corporate R&D Centre (RDCIS) atRanchi.He rose to become Executive Director of RDCIS in 1996. He underwent Advanced Management Program at the Administrative Staff College of India, Hyderabad. He was elevated in 1998 as the Executive Director In-Charge of SAIL’s Corporate Planning Directorate in the Company’s Headquarters in Delhi. He was a principal architect of the turnaround of SAIL during 2000-2002, as the Head of theOffice of Business Restructuring. Subsequently upon his selection by the Government of India, he served as the Managing Director of the Rourkela Steel Plant during 2002-05, and transformed this sick unit from a level of Rupees 3 Crores net loss a day to a 3 Crores net profit a day enterprise. He accomplished this through a unique Mission called “SAMSKAR”, which till date ranksas one of the largest and longest ever employee engagement programs in the history of the industrial world. Amongst several major recognitions received by Dr. Mishra is the National Metallurgist Award fromthe Ministry of Steel, Government of India,in 2003, the highest honour in the country for the metals profession.He is also the recipient of the prestigious JRD Tata Award for Excellence in Corporate Leadership in Metallurgical Industriesfor the year 2012 and the Platinum Medal of the Indian Institute of Metals in 2011.
ng Scientist at the Aachen Technical University and advanced the knowledge base on deep drawing automotive steels and energy efficient electrical steels. 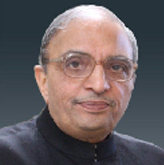 Dr. Mishra served as the President of the Indian Institute of Metals during 2009-10, and as the Chairperson of the International Organisation of Materials, Metals and Minerals Societies during 2010-13. DR Sharon Ding hascompleted her BSc (Hons) Psychology in 1991, PhD Psychology University of Nottingham 1996 and Research Fellow and University of Nottingham 1997-1998. 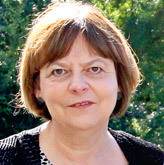 She has been a Staff Tutor and Faculty of Education and Language Studies, The Open University 1999 – 2002, Associate Dean (Teaching and Quality) and Faculty of Education and Language Studies, The Open University2002-2005. Dr Sharon Ding has also worked as an Associate Dean (Curriculum) and was also associated as a Faculty of Education and Language Studies, The Open University 2005-2007.In addition, he has introduced Foundation Degrees into the Faculty’s curriculum, Designed Faculty teaching policy and developed the faculty approach to the scholarship of teaching and learning. Dr Sharon Ding was also the Dean and Director of Studies, Faculty of Education and Language Studies, The Open University 2007 – 2013 and currently as Academic Director, Open University Worldwide.Her Current work include refocusing of teaching material to meet the needs of international students and development of new models of teaching to better meet the needs of a diverse group of learners, focusing particularly on the use of technology. Dr Joanna Newman joined King’s College London as Vice-Principal (International) in March 2014 and has lead responsibility for all international matters at the College.In June 2015 she was appointed a Commonwealth Commissioner by the Secretary of State for Development. 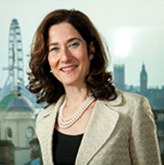 In prior roles, Dr Newman represented the UK HE Sector for Universities UK at National and International Governmental fora and prior to this was Head of Higher Education at the British Library where she led the international partnership with the National Library and Archives in India to digitize the India Office Records. 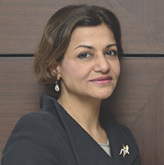 She was a member of UKIERI Advisory Group and Chair of the India Advisory Board, Universities UK, and a Member of the UK-India Joint Qualifications Taskforce. Dr Newman has taught history at University College London and Warwick University. She is an Honorary Research Fellow at the University of Southampton. In 2014, Dr Newman was awarded an MBE in recognition for her work in promoting British higher education internationally. Dr Newman’s research focuses on Jewish/non Jewish relations, refugee history, with particular reference to the role agencies had in providing relief to refugees and official British responses to refugee crises. Her special fields of interest include Caribbean history from seventeenth century to the twentieth, the role of relief agencies in refugee movements in the nineteenth and twentieth centuries, the development of British refugee and immigration policies, and British and American attitudes to refugees and rescue during the 1930s and 1940s. Joanna is on the board of the School of Advanced Studies, University of London, a Council Member of the Wiener Library, and the VITAE external advisory board (regarding postgraduate education). She regularly speaks at conferences, roundtables and on international platforms representing the UK on issues relating to Higher Education and internationalisation. She oversaw the Google Generation study at the British Library and remains involved with library studies and digital humanities. She has written for the Wall Street Journal Europe, the Guardian and was the writer and presenter of BBC Radio 4’s The Archive Hour when she presented ‘A Caribbean Jerusalem’. 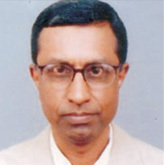 Professor Swapan Bhattacharya is presently the Director of National Institute of Technology Karnataka, Surathkal,Mangalore. 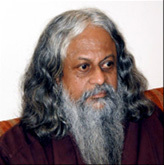 He also retains his substantive faculty position as Professor in the Department of Computer Science & Engineering, Jadavpur University, Kolkata. 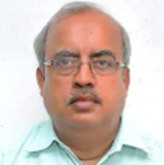 Prof. Bhattacharya had B.Sc (Physics) from Presidency College - Calcutta, B.Tech(Electronics) from Institute of Radio Physics & Electronics - Calcutta, M.Tech. (Computer Sc& Engg) from Department of Computer Sc& Engg - Calcutta and PhD(Computer Science & Engg) – all from University of Calcutta, India. He had also received M.B.A.(Operations Research) from Jadavpur University, Kolkata. Ranked 3rd in the Higher Secondary Examination from Hindu School, Calcutta from West Bengal Board of Secondary Education and a University rank holder is all the examinations he has appeared, Prof. Bhattacharya had received Young Scientist Award from UNESCO, Sr. research Fellowship from National Research Council, USA and Gold Medal from University of Kolkata. He has been recipient ET NOW Academic Leadership Award in 2013. 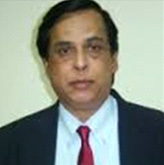 In the span of 32 years of professional experience, he has been associated with various industries and academic institutions in India and abroad – these include - Indian Institute of management Joka, Indian Institute of technology Powai, Mumbai, University of Calcutta, National Institute of Technology Durgapur within India – and, Michigan State University, East Lansing, USA, Naval Postgraduate School Monterey, CA, USA, Asian Institute of Technology Bangkok, Atilim University Turkey etc. outside India. Prof. Bhattacharya’s present areas of research and teaching interest are concentrated around the broad domain of Software Engineering, Business Analytics and related aspects from the perspectives of computing. He has co-authored four books / book-chapters, supervised 16 PhD students and has published around 150 papers in various national and international platforms. Mr Vedamoorthy Namasivayam is a Senior Director in Deloitte India and currently leads Deloitte India’s Public Sector practice. Mr Namasivayam is also the Deloitte India representative on the Global Public Sector Industry Team and a member of the Deloitte India Consulting Executive. 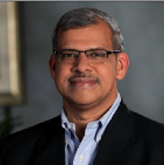 In his previous employment, Namasivayam was an Executive Director of PwC in India and the National Practice Lead of PwC India’s Government Reforms and Institutional Development (GRID) practice. 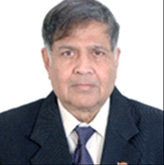 Mr Namasivayam has over 30 years of consulting experience of which over 16 years have been spent in leading several large, complex, multi-year reform engagements in the various sectors in countries including India, China, Sri Lanka, Bhutan and Bangladesh. His in-depth experience in Institutional Strengthening, Capacity Building, Change Management and Reforms Implementation has provided a unique understanding of policy requirements for Indian context. He has widespread experience in the Education and Skill Development sector through leading multiple projects across the various tiers of education. Mr Namasivayam is a masters in Industrial Management from Indian Institute of Technology Madras and a masters in Social Sciences, Madras University.